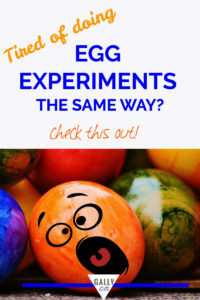 Oh, the many fun kitchen science experiments you can do with an egg. 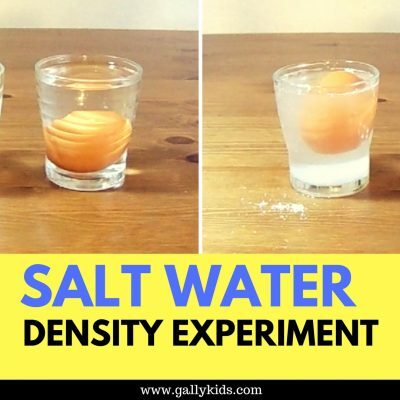 and then you can do this experiment —> make an egg that folds. In today’s science experiment, this is exactly what we’re doing. An egg that folds many times over, inflates and deflates and one that you can bounce in your hand. 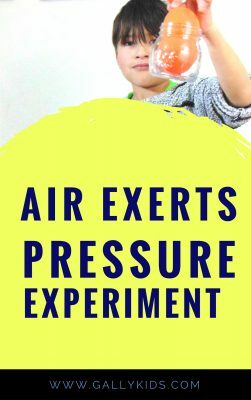 You don’t need any fancy science toys for this. All you need are vinegar and of course, an egg! What do you think will happen to an empty egg when we soak it in vinegar? Do you think we can substitute vinegar with other liquids? First, poke 2 holes in the egg, preferably the top and bottom parts. 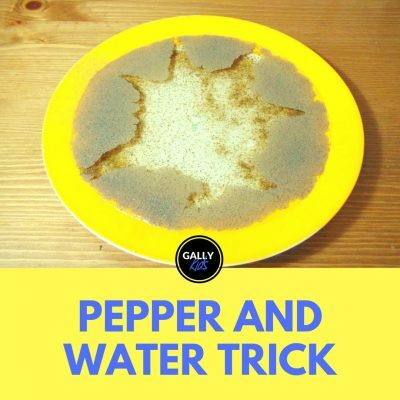 This may seem a little bit daunting when you first try it, but it’s really not that difficult. Slowly wiggle the pin into the egg and then wiggle it a little bit more to make the hole big enough for the egg to be easily pushed out. Now that you have two hole in the eggs, you’d want to push the egg out into the small bowl. Do this by blowing through one hole so that the egg will go out the other. You can either blow straight into the egg or use you can use a straw. Next, fill the glass with vinegar. Then put the empty egg into the vinegar. 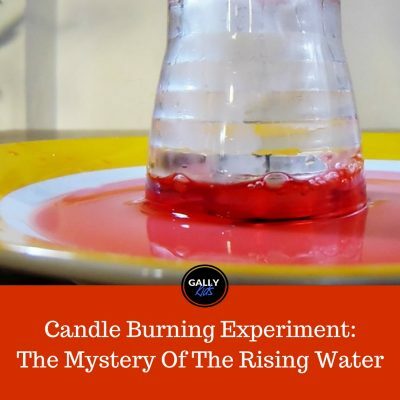 This will prove a bit tricky at first as the egg will float, so you will need to push it in the vinegar until it gets heavy enough to sink (i.e the vinegar enters the egg and weighs it down). Leave the egg in the vinegar for 10 days. After a week, take the egg out. As you can see it now looks and feels different than the original egg. Lastly, it’s time to play with it. See how many times you can fold it. 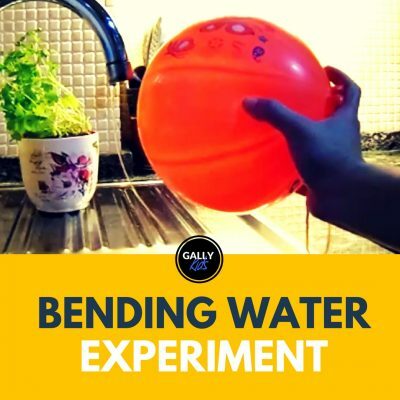 Bounce it between your hands and watch it grow back into an egg as air gets inside it. Why can you fold the egg now? What were those bubbles that you saw when you put the egg in the vinegar? If you’ve done one of the many egg experiments before, you may already know that vinegar dissolves egg shells. The classic bouncing egg experiment shows us this. But isn’t it cool that if you soak only the egg shell in the vinegar, you end up with this folding egg? To easily explain this experiment, we need to go back to the different parts of an egg. Here are the parts of an egg: egg shell, membrane, egg white, and egg yolk. In the experiment above, you only used the shell and membrane parts of the egg when you soaked it in vinegar. Now you know what vinegar does to egg shells? It dissolves it. This is because an egg shell’s main ingredient is calcium carbonate (CaCO3). 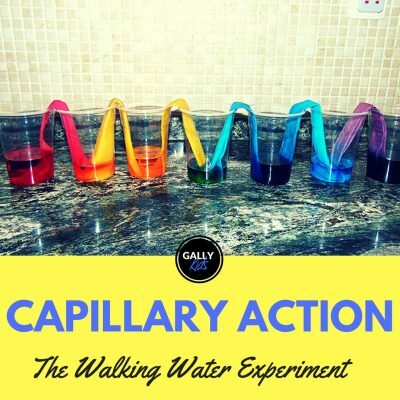 And the thing with calcium carbonate is that when you put it in vinegar which has acetic acid, it breaks down into calcium and carbon dioxide. So, let’s go back to the parts of the egg. The shell has dissolved. And what have you got left? That’s right. 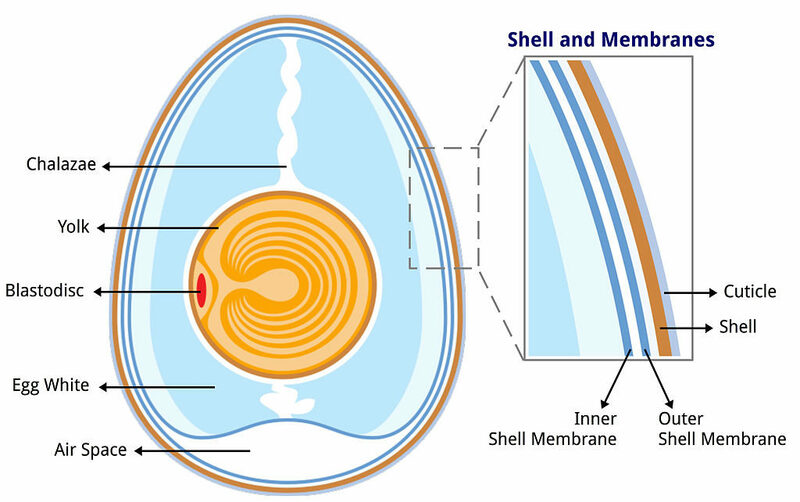 The egg’s membrane. What you are holding their in your hand, the one that folds, the one that you can throw from one hand to the other is the egg’s membrane. Pretty cool STEM activity, huh? Now, you know!